It is an honor to present to you an interview with Daniel White. Daniel is one of the true pioneers of the 3D fractal movement. He not only coined the name Mandelbulb according to Mathematician and sci-fi author Rudy Rucker, but he also played a significant role in the discovery of the 3D Fractal. Most noteworthy, he collaborated with other members of FractalForums.com, which resulted in the discovery of the first 3D fractal images. I was reading the New Scientist article entitled “The Mandelbulb: first ‘true’ 3D image of famous fractal” the other day that was written in 2009. The article mentioned the 2D Mandelbrot set, named after the mathematician Benoît Mandelbrot , who also coined the term “fractals”. But Daniel and others were not satisfied with the 2D Mandelbrot set. They wanted more. This story has been largely forgotten, until now. MM: I wonder if you could get us started with some background information. Specifically, information about your education, current hobbies, career path and family life. Daniel White: Sure, education-wise, my degree is in Music and Computing (taken at the University of East Anglia), so like the Mandelbulb, that combined degree sort of captures my interest in the intersection between the sciences and the arts. It’s not just the fractal world either; way before university, I’ve been interested in finding out the basis behind the Western musical scale and why exactly there are twelve notes (hint: it’s a lot more involved than one might expect, and can’t just be explained by simple ratios!). After teaching piano back in Bedfordshire, I recently moved to the West mids to be closer to the (extended) family, but lately what has taken up so much of my time is trying to get my software business up and running smoothly. I rarely make any money from fractal-related projects these days, but then, of course, we know people who have – more power to them. I create programs such as (SunsetScreen – takes off the ‘blue glow’ on your PC screen in the evening), (SonicPhoto – converts pictures into sound), OpalCalc – multi-line Notepad style calculator with live answer updating as-you-type), WildGem (better than Regex! ), MIDI Transform (edit MIDI files), and a few others. That’s the fun stuff – most of the real money is made coding up relatively dull business-type applications (such as converting JSON/vCard/CSV file formats to each other). Such is life! Hobby-wise, I enjoy climbing, video games, Tesla (the car company), playing piano/keyboard, and am unfortunately more interested in politics than I used to be (haha). I think things like freedom of speech is paramount to the evolution of fruitful ideas, even if we may disagree strongly with those ideas (but in my opinion, both the Left and Right have good and bad ideas). I’ve also recently been more interested in DIY, and so-called “crypto-currencies” (not just Bitcoin, but superior technologies like Ethereum and the newer super-fast, scaleable, feeless, ‘Nano’ currency). It’s such an elegant concept that a single address (protected and derived by a single approx 50-character length err, ‘password’, or “private key” as they like to call it) can theoretically hold billions of pounds! MM: Can you take us back to the beginning and walk us through your role and the roles of others in the development of the first 3D Mandelbulb images? 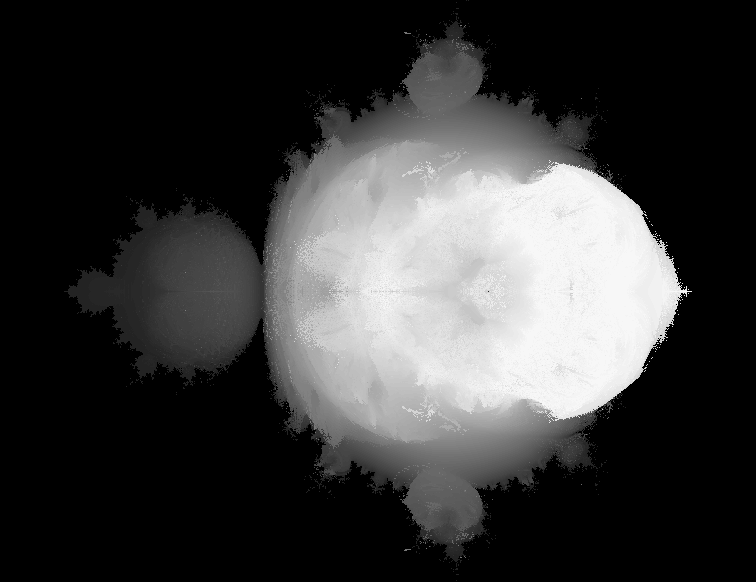 The idea behind creating the 2D Mandelbrot is actually relatively simple. I tried to break down visually how the mathematics behind complex numbers created the shape, and it essentially boils down to millions or even billions of rotations and scaling functions. You can see the basic idea under the heading “My attempt to open Pandora’s box…” at the aforementioned URL (I think, given enough time, even an average 8 year old could understand the basic concept). So I thought, let’s use those same basic math operations but in 3D space! Instead of rotating around a circle, let’s try rotating around a sphere on two axis – the X and the Y. That was the original basis behind the Mandelbulb. 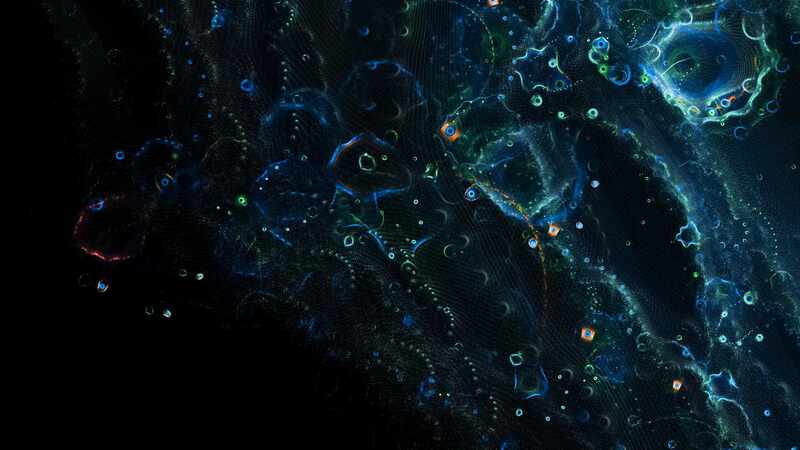 Needless to say, around the time of the seminal FractalForums thread, the atmosphere was electric, almost as if we were on a mission exploring uncharted seas for hidden treasure. Apart from myself, people such as David Makin, Thomas Ludwig (“Lycium”), Paul Nylander (“Bugman”) were instrumental, to begin with, and later Jérémie Brunet (“Bib”), Krzysztof Marczak (“Buddhi”) Lead Developer of the popular Mandelbulber progam, Johan Andersson (“Mandelwerk”), and I’m sure quite a few others. I later found out how Rudy Rucker independently envisioned and created a “pseudo-Mandelbulb” years earlier around 1987. Tom Lowe also came in with the incredible Mandelbox later in 2010 of course. – not quite as magical as the Power 8 images, but already we can start to see some very interesting fractal detail appear! At the time, back in early 2008, no one quite knew what he found, and I remember almost begging him to render some close-ups of that Power 2 cross-section. Had he done so, history may have played out quite differently!! MM: Who was the person that introduced you to fractals? Daniel White: I honestly can’t remember. I don’t think it was any single person – just hearing and reading about fractals (perhaps on Slashdot, Amiga Shopper/Format, CU Amiga, or in culture generally). I remember playing about with Chaos Pro back in the Amiga days before the year 2000. Pictures took a long time to render in those days! MM: Back in 2007 when you were exploring the Mandelbrot set and trying to develop a 3D image like the one above, what was the predominate software being used at the time? Daniel White: I coded it myself. My first images were simply greyscaled top-down layered slices (with the bottom slice being black, and the top being white). Images like these: That’s about the easiest thing to start with if you have no idea about how 3D images are created. 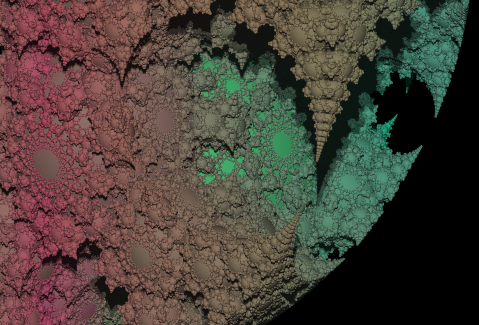 If I recall correctly, I tried a higher power Mandelbulb then and saw the slices build up. Since the quality was so terrible, I couldn’t really appreciate what I unintentionally discovered! 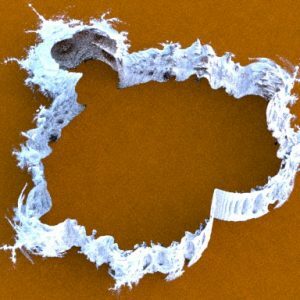 MM: Do you have an educational background in Math or Science, and what influenced your decision to get involved in fractal research? Daniel White: Beyond high school, not particularly, but I have a passion for both of those. I keep meaning to pursue those subjects further but life as always gets in the way. For example, I’d love to research high capacity super cap batteries, develop quiet VTOL craft (as quiet as possible! ), or help research room temperature superconductivity or even fusion. One of the people I look up to is Elon Musk – someone who tried to think what technology could most help the world – and go full steam ahead in that direction. 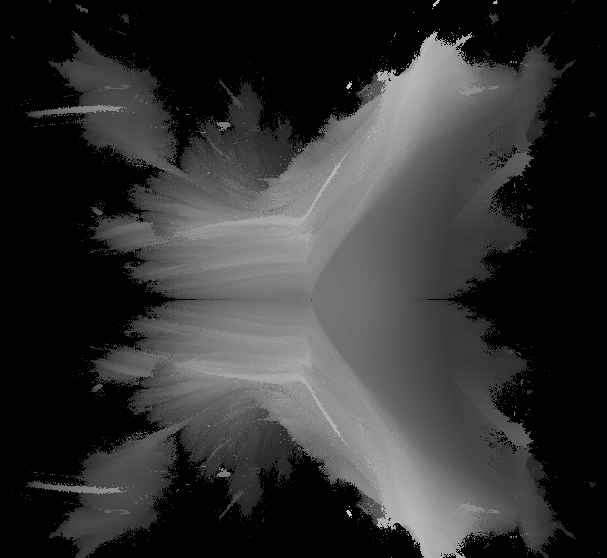 MM: What is your impression of the fractals generated today? Daniel White: So many amazing works being produced! I took the opportunity to browse through thousands on the DeviantArt site over the past few days, and you can see my favorites here: … I saved around 100 new fractals from artists such as Batjorge, Les-Monts and plenty more. If I had one criticism or something I would love to see more of, it would be fractals with proper global illumination for better lighting. Programs such as Mandelbulb 3D produce many incredible pieces, but the lighting only offers a couple of bounces from what I can tell, which can sometimes make scenes look a little flat or more mis-colored than they otherwise might. The problem is pictures rendered with GI could take days or weeks instead of minutes or hours because the complexity to render fractals is much trickier than most other types of scenes! Anyway, something to look forward to in the future. What I haven’t explored fully yet are the incredible videos out there. Well I mean, over the years I have occasionally looked on Youtube and found some really interesting ones, but I just bet there are countless new gems waiting to be discovered. Daniel White: Rarely, but occasionally! It would be nice to return to the scene in a greater capacity at some point, whether it’s creating more pictures, teaming up with others, programming a Mandelbulb 3D type program, or trying to find the ‘Grail’. Who knows what the future holds. 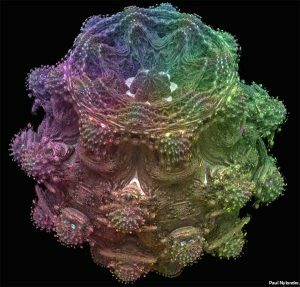 MM: How did you feel when you first saw the higher power versions of the Mandelbulb? (e.g. the z^8 done by Paul Nylander)? Daniel White: Very excited, and desperate to see more of what we just stumbled across. It inspired me to create a 3D renderer, something which I would have never dreamt of before. It was so intriguing, I found myself staring at the screen, watching the renders build up slowly, pixel by pixel, line by line, in anticipation of seeing how it would appear in full. MM: What would you do differently today if you could go back and start fresh? Daniel White: No regrets really. I was thinking about giving talks to universities at one point, something I might’ve followed up if I had more time. But yeah, I can’t really think of anything I’d do differently. MM: Do you have a copy of Mandelbulb 3D on your computer and if so do you create any art with it, even if it is for your own pleasure? MM: Do you have any fractal art hanging in your home and if so who created it? Daniel White: I have a few of my own pieces hanging around, some of which I originally intended to sell! MM: Have you seen Guardians of the Galaxy 2? Did you know that Hal Tenny was commissioned to provide fractal images later used to conceptualize some of the fractal work that was produced for the film? Daniel White: Yeah I love GOTG 2! (and its prequel). And yes I heard someone was picked to help Marvel with the development of the 3D fractals that were featured. Actually, some of Hal Tenny’s work on Deviantart is quite exquisite, especially how he combines fractals with nature. I’d love to have the opportunity to work in the same capacity for something like that. Good for him! I wonder if his rendered images or objects were directly used in the film, or if they rather used his images as a ‘blueprint’ or foundation for the actual images. MM: It has to be said that Hal Tenny’s work was used as a foundation for the future artworks produced for the Guardians of the Galaxy 2 movie. I’m fairly confident we can all agree that Hal’s work dramatically affected the overall look and feel of the movie! 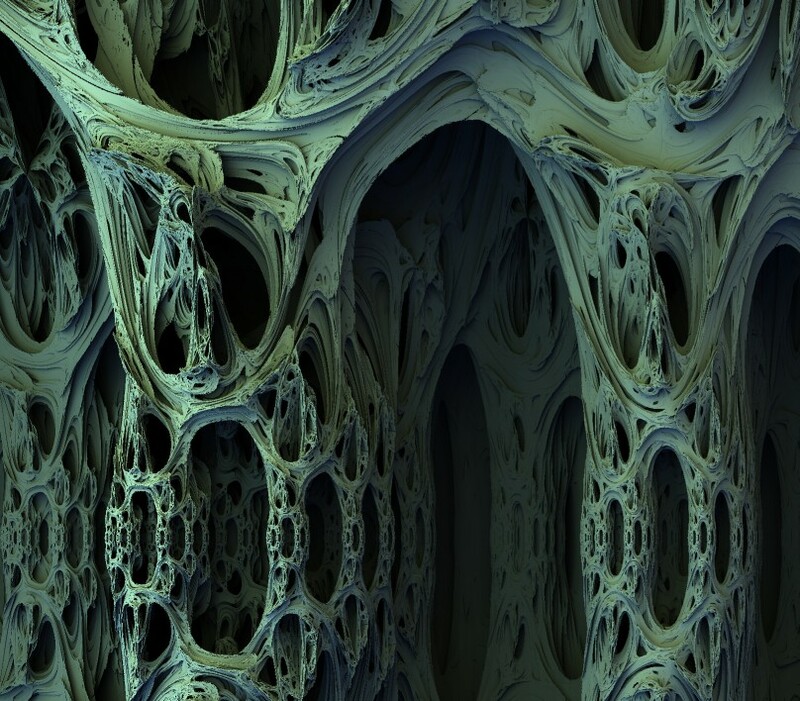 MM: How do you feel about the progression that 3D Fractals have taken since your involvement? Daniel White: Let’s see. The Mandelbox discovery is obviously a tremendous development and most imagery today is based off that. We have galleries of fractal works (like Jérémie Brunet), and people are even creating jewelry by printing such shapes in 3D (e.g: Jérémie and Johan Andersson). In the future, I expect we’ll be exploring the Mandelbulb/box and other inspirational fractal worlds in virtual reality with full global illumination at 200 frames per second in 8k video. How magical would that be? Thanks for the opportunity for this interview and hope it’s of interest to your readers! MM: What a joy this interview has been. I want to give a Huge Thanks to Daniel for trusting me to do this and for his total cooperation! Stay tuned as more interviews are in the works.